This can be a hard time of year to get excited about local, seasonal, sustainably-sourced food in New England. You can only eat so many grains and root veggies before you start thinking about bending your food rules. But then, just in the nick of time, winter's saving grace pours into the grocer's case. 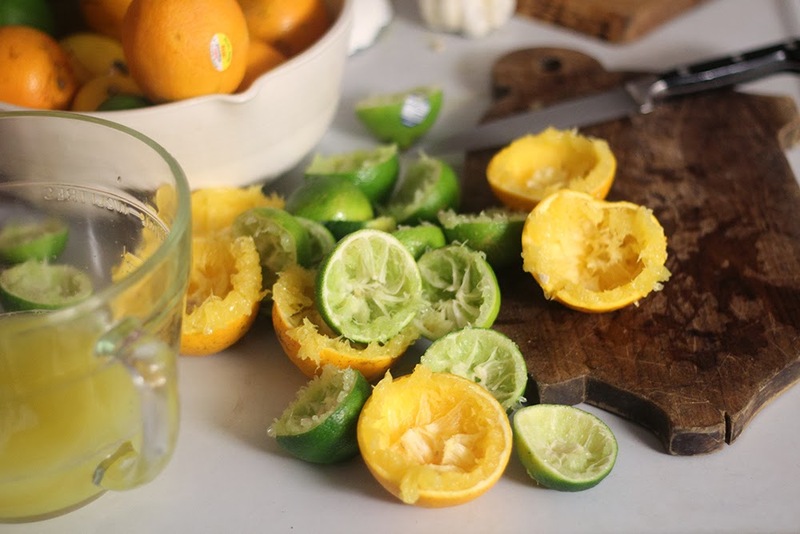 That's right, we're talking about citrus! 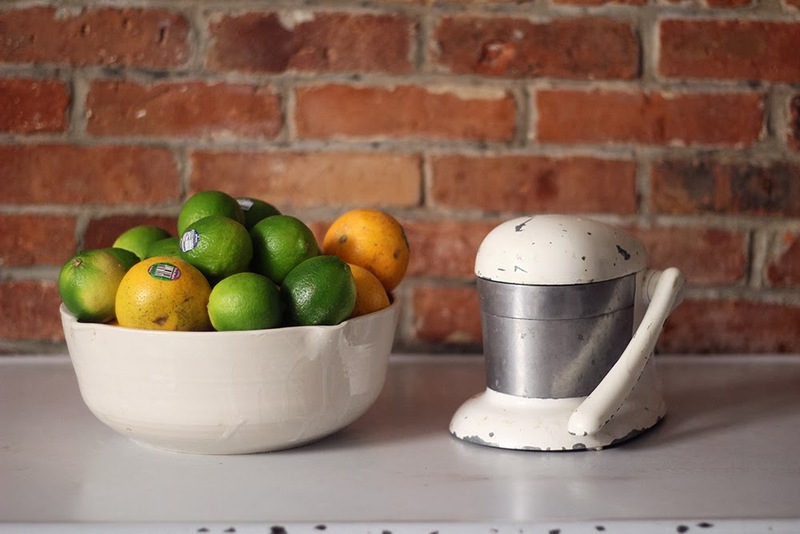 American citrus is at it's peak right about now, and while oranges and lemons aren't exactly local, they can can easily be sourced from responsible organic farmers throughout the country. And man oh man, does it add some zing and zest to our browning plates and greying days. On our honeymoon this fall, we visited Mexico's Yucatan peninsula. Along with azure Caribbean waters and spring breakers, the Yucatan has a vibrant farming community with a rich agricultural history. In every market we visited (and trust us, we sought out quite a few) we were stunned by the towering piles of limes, sweet and sour oranges, grapefruits and lemons. And in every restaurant we visited, we found ourselves coming back to the classic Yucatan dish: Puerco Pibil. Peurco Pibil is pork shoulder which is marinated in sour orange and ground achiote then slow roasted in banana leaves, over an open fire. A prime example of Yucatan flavor and technique, the pork becomes soft and velvety, with a deep orange hue and a unique tang. If that wasn't enough, it's then served with fresh corn tortillas and bright red onions, pickled in sour orange and salt. 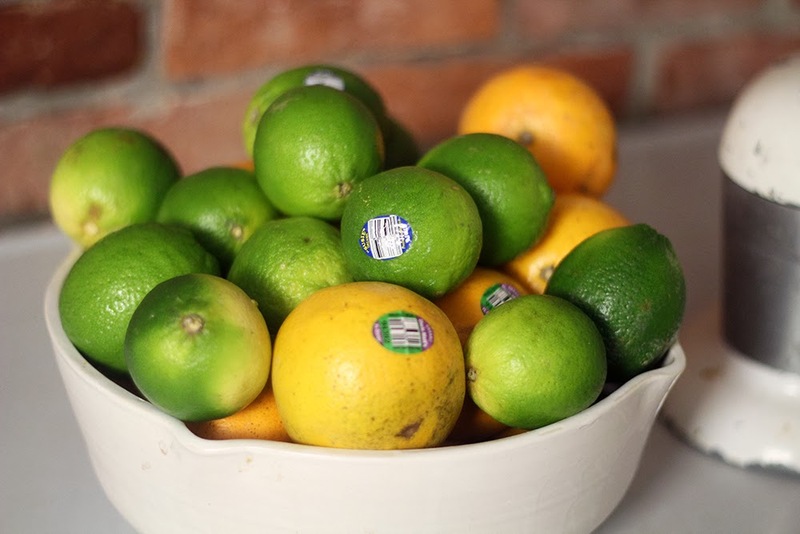 We've been reminiscing about this dish and decided to try our best to recreate the experience, taking advantage of all the great available citrus. Of course, we made a few substitutions to keep the meal as local as possible. Rather than buy tortillas we served the pork over polenta, and we used a mix of US organic Hamlin oranges and limes instead of the traditional Mexican sour orange. 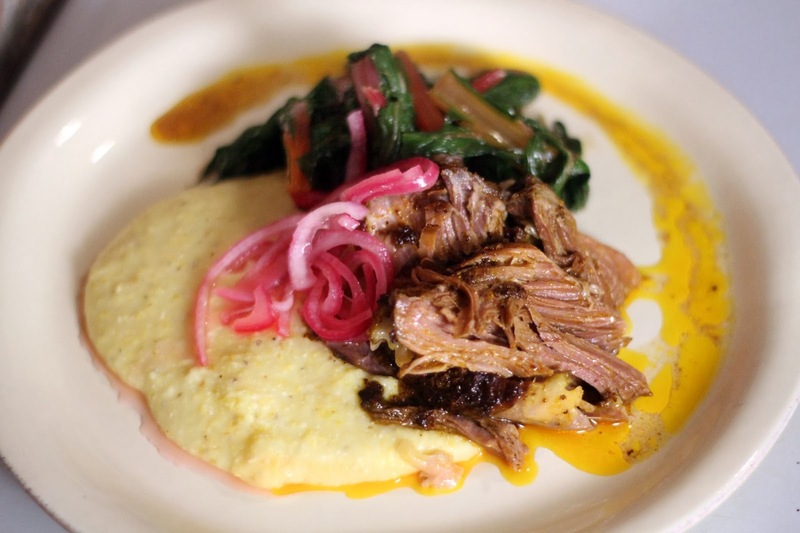 The pork came from Great Barrington's North Plain Farm, and the spices from El Punto De Encuentro Latin Market. And because it's winter and we don't have banana leaves, we tried to emulate the effect by doing a slow-and-low roast in a covered enamel pot. 1. Grind the spices together. 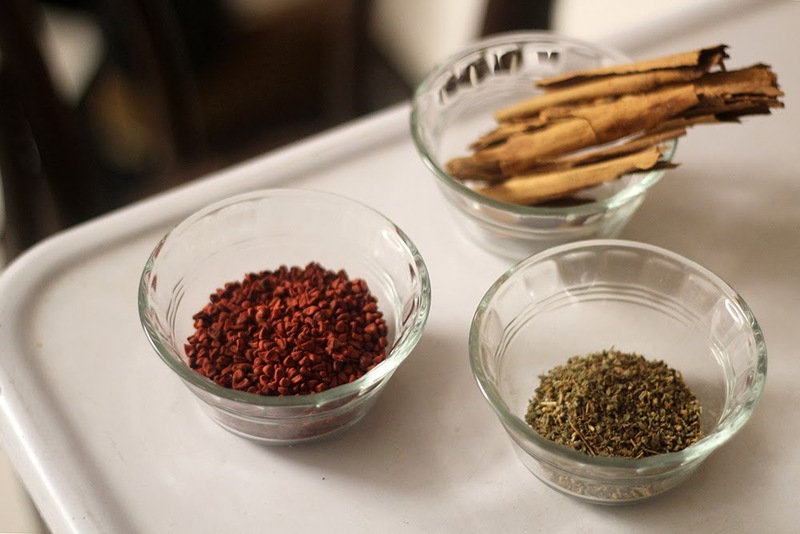 You can use a spice grinder, a coffee grinder or a good old mortar and pestle – or just use pre-ground spices and herbs. 2. In a blender mix the spices, garlic and juice until the marinade has a slightly chalky texture between your fingers. 3. Place the meat in an enamel or cast iron pot and pour marinade over it. Cover and let sit in the refrigerator overnight. 4. Heat the over to 200. 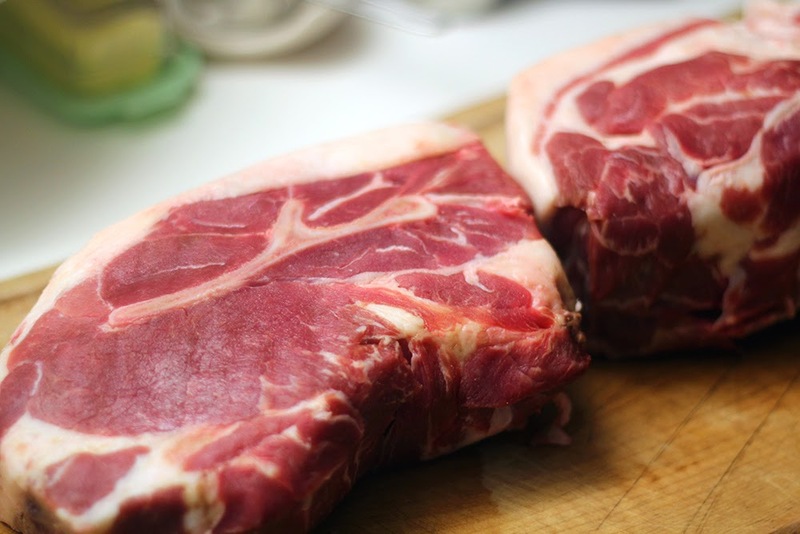 Cook the pork, with marinate still on it, in the pot for at least 6 hours, or until it pulls apart easily. 5. While meat is cooking slice onion thinly, and place in a bowl. Bring a pot of water to boil and pour over onions for 10 seconds then drain. 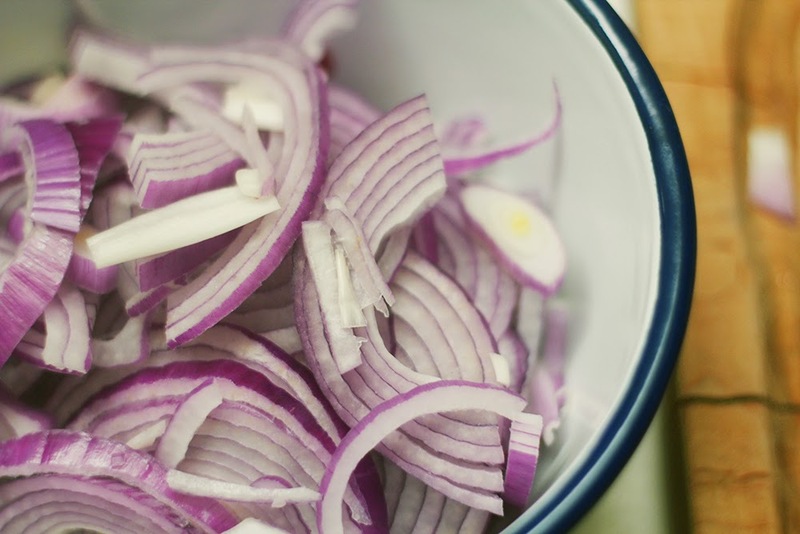 Place onions in a small bowl with juice and salt. 6. Take the meat out of the oven and shred. Serve with pickled onion and corn tortillas or polenta.